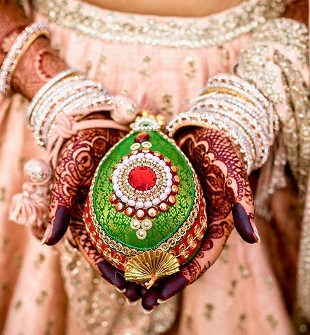 How to Give a Fusion Touch to Your Wedding Wear? 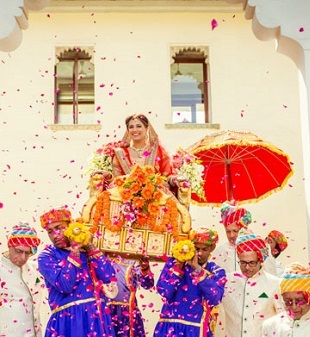 Indian weddings are all about a riot of colors and vibrancy. Good food, good people, and good fashion. And the soon-to-be married couples always try to come up with something unique when it comes to looking their absolute best on the best day of their life. 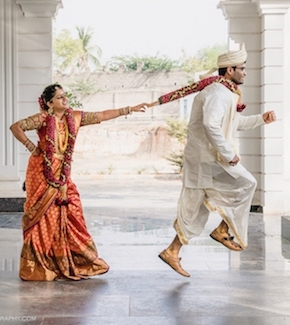 Thanks to the wide variety of textiles, prints, and colors available, mixing and matching aka fusion wedding wear is becoming a big hit for couples to show up in their stylish best on the D-day. Kabir Mehra and Samarth Hegde from Herringbone & Sui, a custom made menswear brand, and designer Priyanka Modi from label AM: PM explains how. 1) Like always, if it's a day event the wise color choices are pastel shades, floral motifs, bold prints or bright shade fabrics with subtle intricate embroidery. Stick to light embroideries like ari and pitta. They will look opulent but are never OTT. For a contemporary fusion touch, pair a bandi with a shirt instead of kurta, and jeans instead of pajama. 2) Opt for velvet bandh gala in black-tie events. The end result of mixing velvet with such a traditional attire is super classy. You can pair the bandh gala with black braided trousers and voila, you have your own Indian style tuxedo. Customization of these wedding wear is also gaining popularity these days. You can change the buttons and linings of your attires for a more personalized style. 3) For another cool fusion wedding look, you can pair a 100% linen made Mao jacket which is breathable, comfortable and top notch stylish. Pair it with a cotton trouser or jeans for a semi-formal or casual look. The idea is, you must dress in a way that reflects your personality. 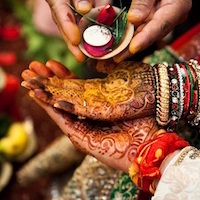 Make few changes here and there and get a completely new aka fusion look for your wedding. 1) Fret not ladies, the traditional wedding wears will not conceal your free-spirited personality on your biggest day of life. There are ways to mix and match traditions with trends and here's how. For casual and semi-formal events pair a linen made skirt lehenga with a brocade crop top. 2) Banarasi . The same can also be paired with a light lehenga or waves. You can also pair a heavy worked lehenga with a subtly opulent white shirt or short jacket made of palazzo. 3) While zardozi and mukaish are our favorites occasions like weddings, you can also find plenty of velvet, silk, and organza in your preferred wedding store these days. Fabrics like these have a contemporary flair in them and when paired with pearls, instead of gold and kundans, it sure gives an interesting fusion look. Try interesting sequins to jazz things up a little more.